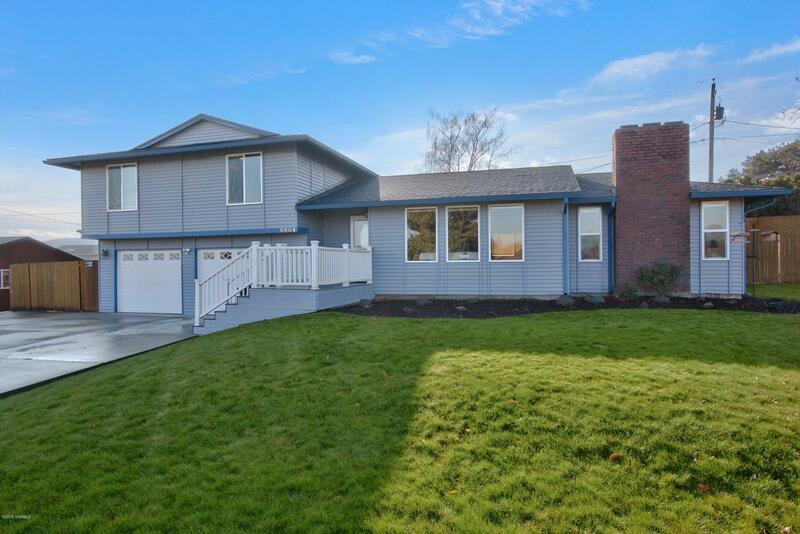 Must come see this newly remodeled home with large kitchen, custom cabinets & soft close drawers, large pantry w/ pull out drawers, new Bosch dishwasher, hardwood floors, new carpet in family room along w/ brand new stack stone fireplace. Custom window coverings downstairs, new exterior paint, concrete walk way & retaining wall this year. Very large over sized deck built last year. New 30 year roof done 2012, large fenced back yard & UG sprinklers. Large 2 car garage w/ attached space for all your toys.